lthe quality or state of being conscious or aware of something. la mental state achieved by focusing one's awareness on the present moment, while calmly acknowledging and accepting one's feelings, thoughts, and bodily sensations, used as a therapeutic technique. There are many opinions, theories, ideas, religions based on mindfulness. But what does it all mean? Why is it important? How can we ensure that we integrate it into our everyday lives and why should we? Formal seated meditation is one way to develop mindfulness. But it’s not the only way. When we drum we pay attention to the present - the past no longer exists, the future is just a fantasy - the present is the one time we can actually experience. Our thoughts can stray to the past and the future while drumming but as you have to concentrate on your actions - you have to be present. You direct your attention to the drumming, the space for the sounds you are creating and an awareness develops. Much like the use of a mantra or chant during a meditation, the pound of the drum is like a strict mentor refusing to allow their student’s attention to stray from the task at hand. Although simple, there is an element of drumming that ignites something ancient and ancestral within. Drumming is particularly effective in producing a highly concentrated focus; a number of studies have shown that listening to the beat of a drum causes the brain to slow down into a trance-like state. 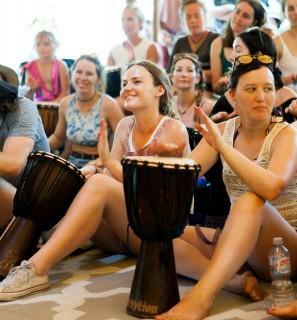 InRhythm integrates group drumming, percussionand voice chants with mindfulness and ‘being present’ practices to create a fun and therapeutic drumming environment to aid participants to connect to themselves, their space and others in their group. 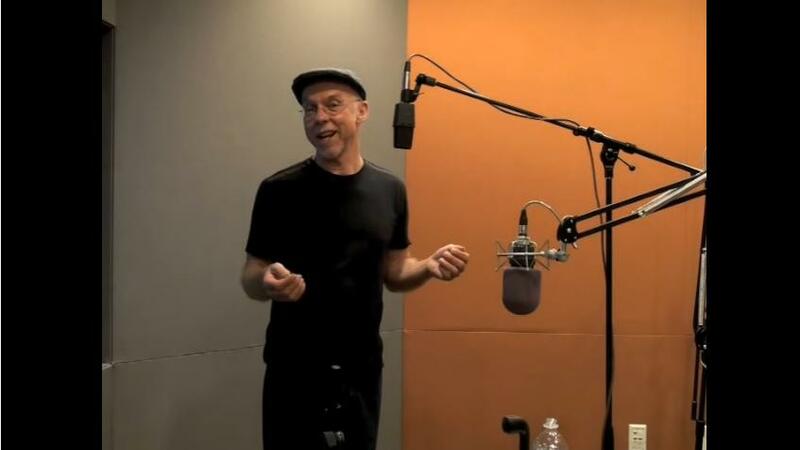 Using rhythm as a way into the present moment, we experience many of the same benefits as meditation: an increase in positive emotions, social connectedness and mindful awareness, and a reduction of anxiety, depression, fatigue, and overall negative moods.